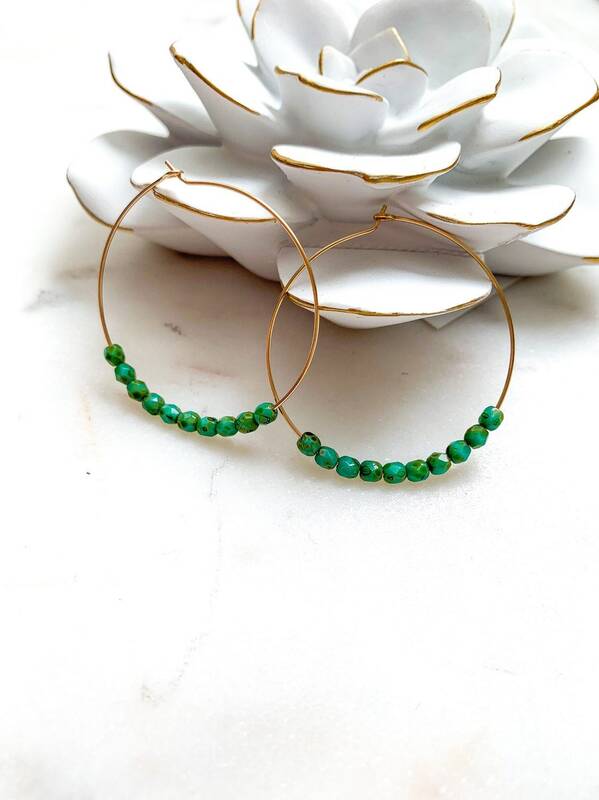 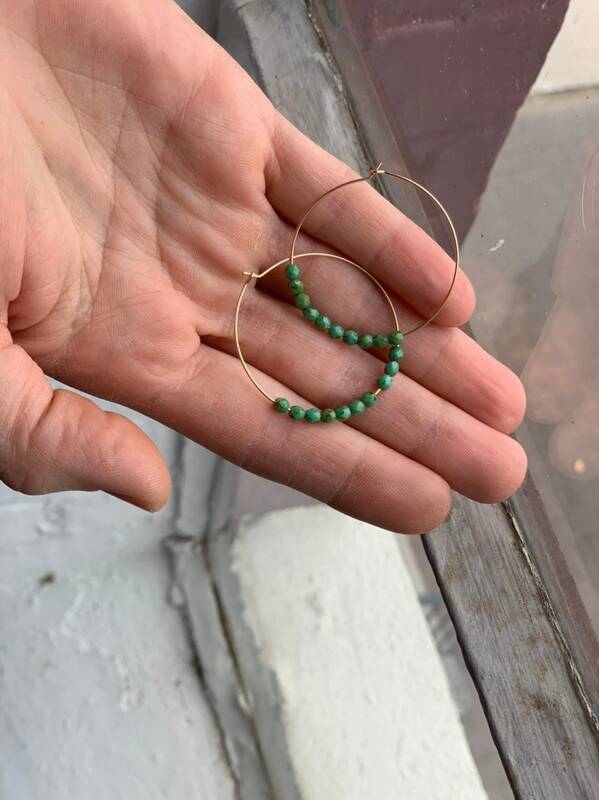 These lightweight hoop earrings are a pop of color and style for any outfit! 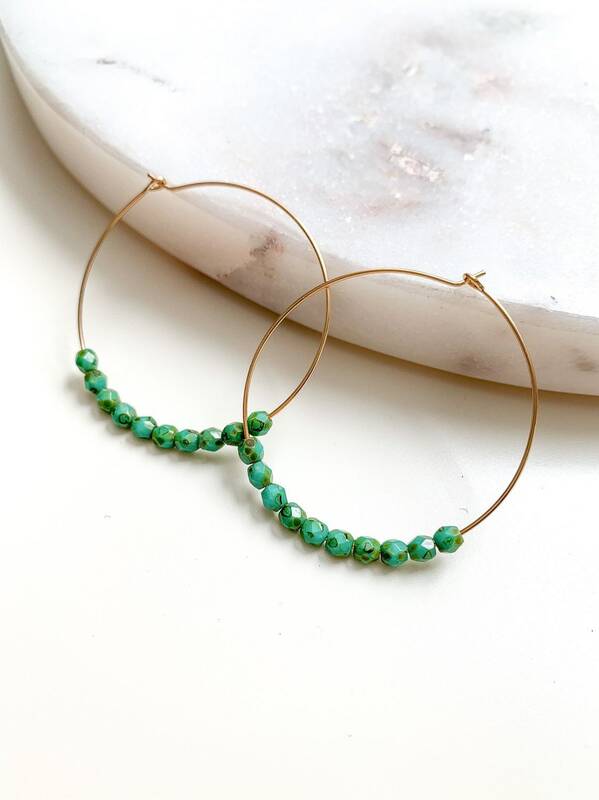 Tiny faceted African Turquoise beads thread onto a thin and delicate gold filled wire. 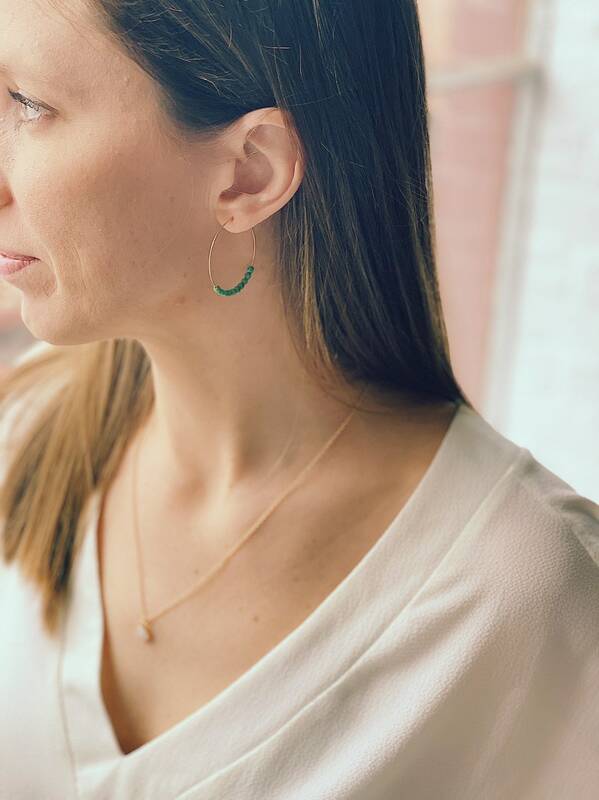 These earrings are so lightweight, you'll hardly notice them on!